Imagine sitting in your office on a fine Monday morning, sipping your coffee and feeling great about yourself. It’s just 10 o’clock in the morning, but already you’ve got 3 phone calls from qualified leads. All this from your Google Ads campaign! And you didn’t even have to break a sweat. Six months ago, you decided to hire a Google AdWords agency. Now, you’re getting a steady stream of inquiries and getting more clients on board while you still have time to exercise and live like a decent human being. Sounds like a dream? It doesn’t have to be! I’m Johan Hedin, the CEO of Marketing Ignite. I’m an entrepreneur myself, and if there’s one thing I know, entrepreneurs are self-learners. We consume self-help and DIY books like cereals. We learn and act quickly. But one area where you don’t want to act so rashly is paid advertising. Implementing and maintaining a successful campaign is a lot like cooking. You’ve seen tons of instructional cooking videos, but when it’s your turn to do it, you suddenly find out that you don’t know how to tell when a fish is cooked. You’ll have a more successful campaign. What this means is you’ll make more money in a shorter period. 1. 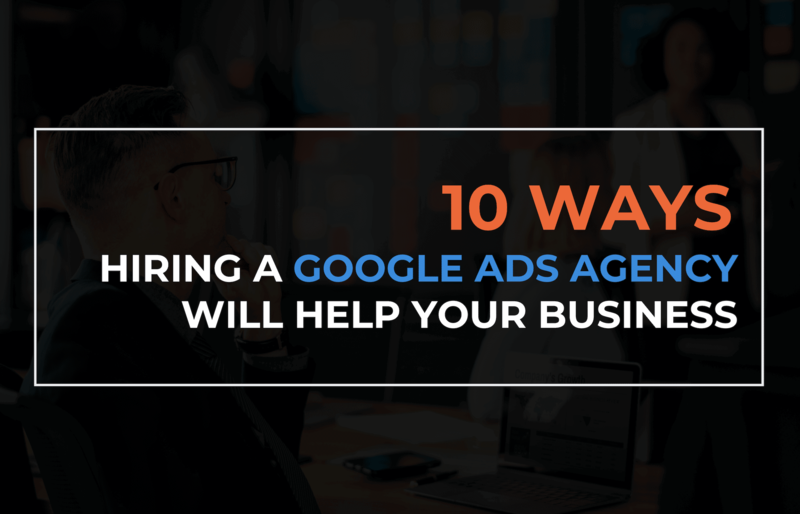 Hiring a Google Ads agency will save your time. For entrepreneurs, time is money. Wasted time is wasted money. One of the biggest benefits of hiring an AdWords agency is not having to waste your time trying to learn all the smallest details from researching keywords to setting up a good landing page. If you choose to learn and do everything yourself, in one to two years you can be an expert through trial and errors. Only then can you start seeing significant results in your campaign. In one year, our client’s visitors grew from around 11,000 to 32,000. They got a 443.2% conversion increase with an average conversion rate of 6.11%. Our client enjoyed a total of 54,899 conversions in one year. You can see more case studies here. As shown in this case study, if you manage to find a good PPC agency, you’ll see exponential growth while still having time to manage other parts of your business. Your AdWords campaign is just one part of your business. 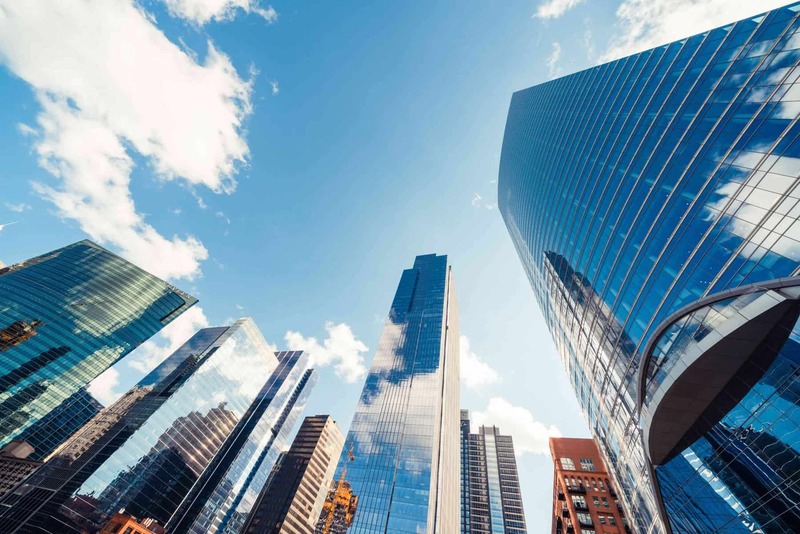 While you’re spending all this time trying to figure out what went wrong with your campaign or how to interpret the metrics, the rest of your business suffers. Your customer service suffers, your client acquisition suffers, all because you’re spending way too much time on something that can easily be outsourced. 2. Get expert help in planning your marketing strategy. Google AdWords is more than buying clicks to your website. To craft an effective campaign, you have to plan according to your industry and your goals. For example, let’s say Bryan is in the real estate industry. He wants to sell a condo unit in New York City. He naturally wants to make the sale as soon as possible, so each of the ad copy he creates pushes for the sale. But as professional real estate marketers will tell you, that’s hardly an appropriate strategy. Since it’s a big purchase, people would have to trust Bryan first before they make a deal. Forming trust is a matter of forming a relationship. And Bryan can do that by sending first-time visitors to a blog post or free e-book – something that won’t require the visitor to spend a dollar. From there, Bryan can keep in touch by emails or inviting the visitor for a quick call. The ad doesn’t always have to push a sale. When you hire a Google AdWords expert, you’ll get top-notch advice on a proper plan of attack suitable for your industry and specific needs. 3. Target the best keywords. The best keywords for your campaign aren’t just those with high search volumes. They also need to have the best keyword match and search intent. 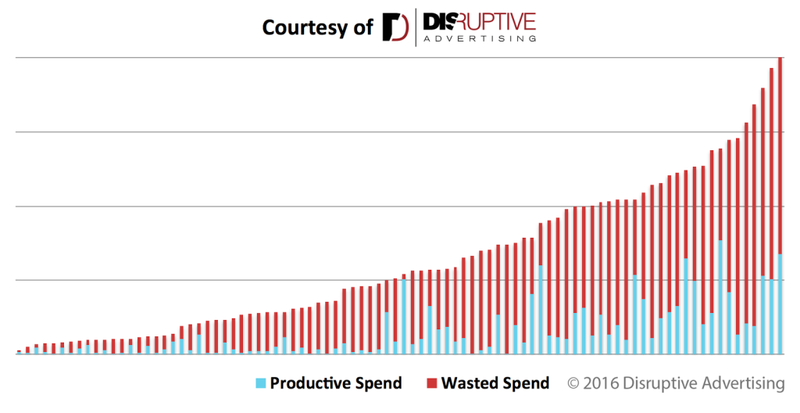 What’s worse is the relationship between wasted ad spend and cost-per-conversion. 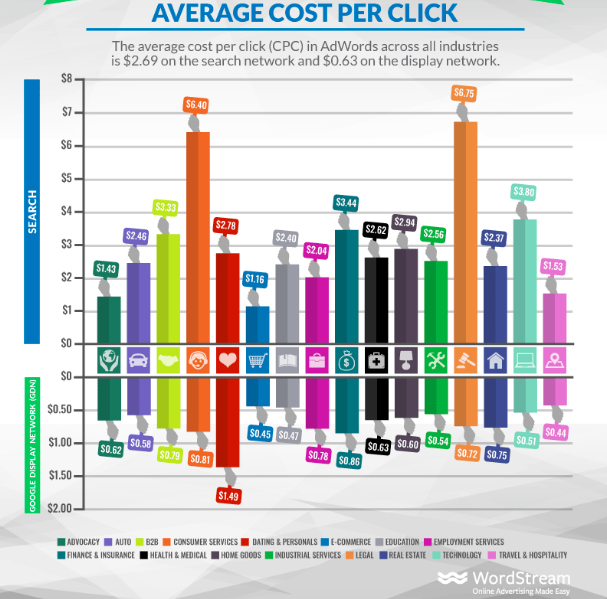 They found that every 10% increase in wasted ad spend leads to a 44-72% increase in your cost-per-conversion. So if your cost-per-conversion is currently at $14.00, and your wasted ad spend due to targeting wrong keywords goes from 30% to 40%, your new cost-per-conversion would be around $20.16 to $24.08. Targeting the wrong keywords is a sure way to flush thousands of dollars down the drain every month, and this can be prevented if you’ll hire an AdWords management agency that knows what it’s doing. 4. Campaign settings are hard to crack. Your campaign settings and structure play a big role in making sure that your ads will make you money. In the words of Alex Fender, a PPC expert, “do not spend $1 with Adwords PPC if you did not have an expert first set up your campaigns”. You got to make sure that every tiny detail from the initial settings, keywords (bids, landing pages, matching, Quality Score), demographic targeting, and the tracking has been set up properly and passed the Quality Control Inspection, adheres to Adwords Best Practices, and matches your business strategy. 5. Writing an effective ad copy is hard. When we meet someone new, it usually takes a few seconds for our brains to decide if we like this person or not. The first words that come out of their mouths play a huge role in this decision. If they share too little, it can bore us or intrigue us. If they share too much, it can wear us out or overwhelm us. These first few sentences or chances of interaction are like the copy of your Google text ad. In just a few sentences, you have to entice the viewers to click on your ad. You have to convince them that you’ve got what they want and you can help make their lives better. With too much at stake, you don’t want your copy to be lackluster. You want it to shine, stand out, and be clear enough. You want each word to cause the viewer to click. Remember: the best ads have the best copy. Seasoned copywriters charge anywhere from $100 to $250 per ad. So if you’ve got 10 ads to write, it can quickly exceed your budget. PPC agencies often have in-house copywriters that have extensive experience in writing great ads. They know what kinds of headlines get the most clicks, what to include in the descriptions to get the best results, or what the best performing CTAs are. 6. An agency will build a high-converting landing page for you. 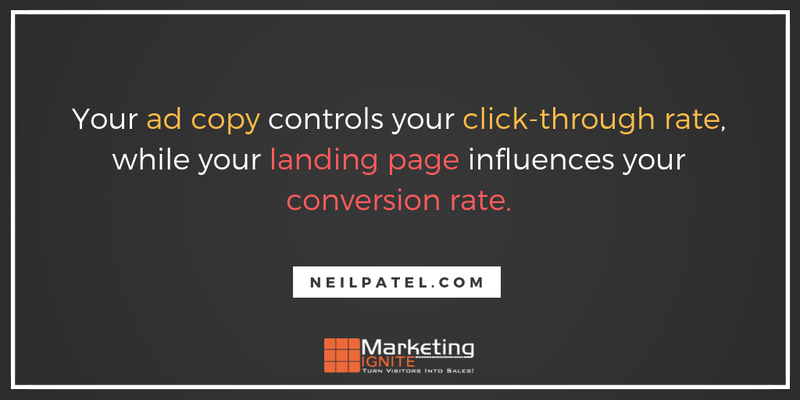 If ad copy controls your click-through rate, your landing page controls your conversion rate . Hollis Thomases, the CEO of Web Ad.vantage, lists sending all your Google AdWords traffic to your homepage as one of the worst things you can do for your campaign. The thing is, when Google ad clickers land on your homepage, they’re overwhelmed with all the different things they can explore. They can see links to your ‘About’ page, blog posts, and different products and services. When all they want to see is the product or service that you were advertising on your Google ad. So stop sending people to your homepage and make a dedicated landing page instead. This landing page works great because it matches the ad’s headline, mentions the keywords “social” and “schedule,” lists the benefits of their services, and uses a contrasting CTA button. There’s a lot that goes into building a high-quality landing page, and it can quickly consume too much time and resources. The best AdWords management agency can build you a landing page that matches your ad and converts well. 7. It’s hard to keep track of click fraud. Not all clicks are made equal. Some of them are simply frauds. In fact, in 2017, about 1 in 5 desktop clicks on adverts were fraudulent. What are click frauds? To put it simply, click frauds are invalid clicks made in an attempt to increase an advertiser’s costs. But who will do such a thing? Who would waste time clicking ads to sabotage you? A lot, actually. Most of them are your competitors who’ll benefit from depleting your PPC budget. If you’re using network display ads, click frauds can also come from webmasters who can make more money the more clicks your ads on their websites get. There are also fraud rings that gain billions of revenues in generating fake clicks and views. An example is the huge fraud ring named “The Methbot Operation”. This is a Russian criminal group that, according to White Ops, were making $3-$5 million per day from generating fraudulent clicks and views. To prevent click fraud from draining your budget, you have to first identify if you’re suffering from click frauds, and then exercise some prevention measures to make sure it doesn’t happen again. The best AdWords agency should be able to prevent and detect click frauds to maximize your budget and ROI. 8. Track your results the right way. Problems in conversion tracking often stem from improper installation of conversion tracking, tracking the wrong metrics, double counting, and more. This screenshot shows there were zero conversions in the past 30 days. This is hard to believe even in the most horrible ads. A total beginner may misinterpret this as a problem with the ad copy or some other elements of the campaign, but this is likely a case of improper installation of conversion tracking. There are tons of things to consider in tracking your results and interpreting your metrics. In most cases, you’d need an extra pair of trained eyes to interpret the data, identify trends, and make suggestions for improvement. 9. You won’t have to buy your own tools and waste time fiddling with them. iSpionage – shows you your competitors’ effective keywords, ad budget, and ad copy. Pricing starts at $59 per month. SEMrush – this tool shows you your top competitors for the keywords you plan to target on Google or Bing. You can also see their ad copy and what other keywords your competitors are targeting. Pricing starts at $69.95 per month. Unbounce – lets you create effective landing pages easily. Pricing starts at $49 per month. As your business grows, and so does your PPC campaign, you’ll need more advanced features and tools to keep up. You’ll probably need a Google Ads management tool to centralize everything in one software. Over time, the costs will pile up, and soon you’ll have a bunch of tool-related expenses that far exceed what you could be paying an AdWords agency. 10. An agency keeps track of changing Google Ads trends. Last on this list is another big benefit of hiring an AdWords agency. Google is known in the digital marketing industry as a giant that often changes its minds. It often introduces big changes to its algorithm and other functions that have huge impacts on Google Ads campaigns. 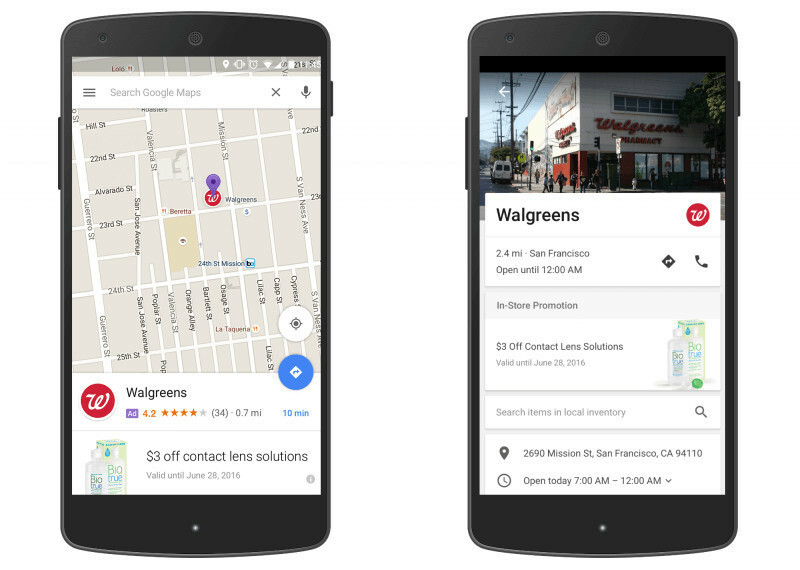 The icon of Walgreens can be seen on the map, and when you click on it, you’ll be taken to the company’s profile with in-store promotions. This is big news for local businesses as data shows that people visit 1.5 billion destinations based on their Google searches. Another huge change is the new responsive display ads. To create a responsive display ad, you simply have to upload your assets (headlines, descriptions, logos, and images), and Google will automatically come up with ads to be displayed on the Google Display Network. It creates optimized ads using a machine learning model which determines the “optimal combination of assets for each ad slot ” based on predictions from your performance history. It helps you reach more since it automatically adjusts its format to fit any available ad space. For example, it can be a side banner on one site and a text ad on another. To maximize your Google Ads campaign, you have to stay on top of trends and changes that Google introduces. You can also use this list as a guide on what to look for in an AdWords agency when you’re ready to hire one. Do they have experience in your industry? Do they have the right tools? Do they know the latest and the best when it comes to Google Ads? If you want to know how to find the best agency for you, we created a guide on how to find the best digital marketing agency for your business. You can check it out here . Want to Jumpstart Your Google Ads Campaign? Many businesses that want to expand or are struggling with their sales are using Google Ads to get more sales than they ever had before. But to do this right the first time, it’s best to steer clear from the DIY route and get expert help. Marketing Ignite has been around for nearly two decades, helping companies reach their targets and generate more sales each month through proven techniques and industry expertise. If you’d like to learn more about us, our processes, and how we can help you, contact us today to schedule your FREE, no-strings-attached Strategy Session.